It’s that time of year again — the Watkins list of 100 Most Spiritually Influential Living People is here. To celebrate, here are a selection of important works by some of our chosen thinkers, providing you with a good introduction to their oeuvres. The list in print can be found in our new issue of Watkins Mind Body Spirit magazine (you can grab a copy here, or take out a full subscription here). 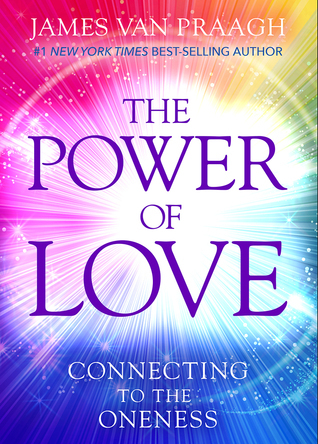 The Power of Love: Connecting to the Oneness (James van Praagh): For many years now, James van Praagh has received messages and guidance from those who have passed over to the afterlife. 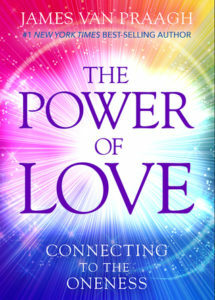 Oftentimes, their message is for those in the realm of the living to exercise their most powerful ability: love. It knows no limits and can change a person’s life forever. James shows how to activate this power by showing the importance of being aligned with loving thoughts and self-acceptance, thereby divesting oneself of negative energy and paving the way for a smoother, more purposeful journey through both the corporeal and the spiritual realms. Available at Watkins Book Shop. 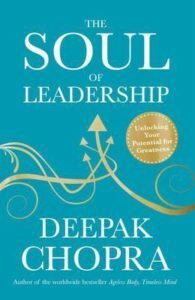 The Soul of Leadership: Unlocking Your Potential for Greatness (Deepak Chopra): What makes a great leader? Exploring the qualities of some of the most famous leaders of history, such as Winston Churchill, Martin Luther King Jr., Buddha and Gandhi, Chopra defines the key aspects of leadership as L: Look & Listen, E: Emotional Bonding, A: Awareness, D: Doing, E: Empowerment, R: Responsibility, and S: Synchronicity. A leader only focused on external goals such as money, power or fame will fail; only those following the inclination of their souls will achieve their goals. But it’s not only powerful political or military figures who can be leaders: Chopra’s manifesto is an exhortation to each of us to exercise our latent ability to lead, empowering us in our business dealings and day-to-day lives. 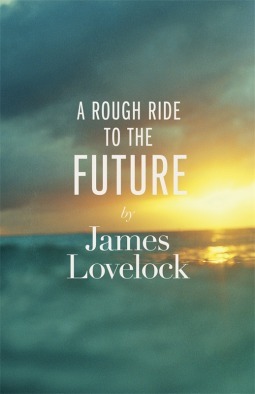 A Rough Ride to the Future (James Lovelock): James Lovelock, one of the greatest minds of our time, asserts that the invention of the Newcomen steam engine in 1712 ushered in a new age for humanity, the ‘Anthropocene’. This era of accelerated evolution has rapidly outpaced the planet’s ability to cope and has left the natural world in a perilous position. The good news, however, is that as part of this process humanity has the ability to become the intelligent part of ‘Gaia’, Lovelock’s famous theory of symbiosis between living and non-living parts of the Earth forming a complex interacting system. 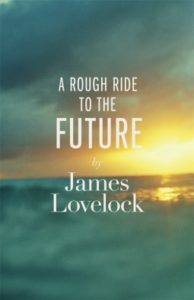 Lovelock explains that, if we are able to utilise our tremendous industriousness and intelligence, we can prepare for the inevitable changes, and contribute, as a species, to the next incarnation of Gaia, however that might look. Interspersed with colourful stories and anecdotes from the author’s life and career, including tales of working at NASA, and his purported invention of the microwave oven, A Rough Ride to the Future is a fascinating book of both major scientific and autobiographical value. 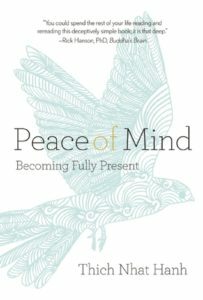 Peace of Mind: Becoming Fully Present (Thích Nhất Hạnh): Zen Master Thích Nhất Hạnh blends ancient wisdom and contemporary thinking on this meditation on mindfulness. 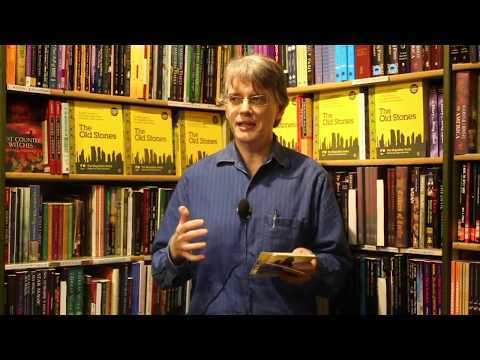 Introducing beginners to mind/body practices, he explains that without a mindful body we cannot have an embodied mind, and the synergy between the two is explored in detail. Artfully guiding the reader with his friendly and accessible style, Nhất Hạnh gently outlines some of the key concepts and methods of mindfulness, in this excellent primer for those seeking a calmer, more serene state of being. How Soon is Now? 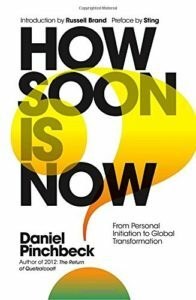 (Daniel Pinchbeck): New York Times bestselling author Daniel Pinchbeck’s latest work features forewords from Russell Brand and Sting. How Soon is Now? is Pinchbeck’s call to action, casting a light on our failings as a society and outlining his bold vision for the future of our planet. The devastation we are causing to the environment is a kind of ‘rite of passage’, an act of self-sabotage our teenaged species will eventually outgrow, choosing instead a future that is peaceful, spiritual and sustainable. A clarion call to all those disillusioned with our selfish and material-obsessed modern world, How Soon is Now? will surely go down as Pinchbeck’s magnum opus.